you have urinary or gastric retention, or uncontrolled narrow-angle glaucoma. 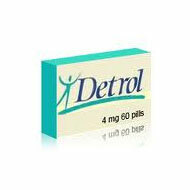 Detrol should be used with extreme caution in children; safety and effectiveness in children have not been confirmed. Pregnancy and breast-feeding: If you think you may be pregnant, contact your doctor. You will need to discuss the benefits and risks of using Detrol while you are pregnant. It is unknown if Detrol is found in breast milk. Do not breast-feed while taking Detrol.